If you have already read my dehumidifier buying guide then you already know the answers to most of the questions. A dehumidifier is an awesome air remedy answer for casting off extra moisture around your home and guarding it against adverse mold. Suggested indoor moisture level is between 30 and 50 percent. If you have more, you need a dehumidifier. If you’re just beginning your search for a dehumidifier, you may have lots of questions. What a dehumidifier actually does? I heard that a dehumidifier will help handle and release some of my allergy symptoms. Can it? How to choose proper dehumidifier for my place? Where should I store my dehumidifier? Are dehumidifiers loud and noisy? Are dehumidifiers costly to maintain? Dehumidifiers eliminate moisture and help keep wanted humidity level. Holding a balanced humidity limits mold increase reduces uncomfortable humid conditions, and guards your home against damage. 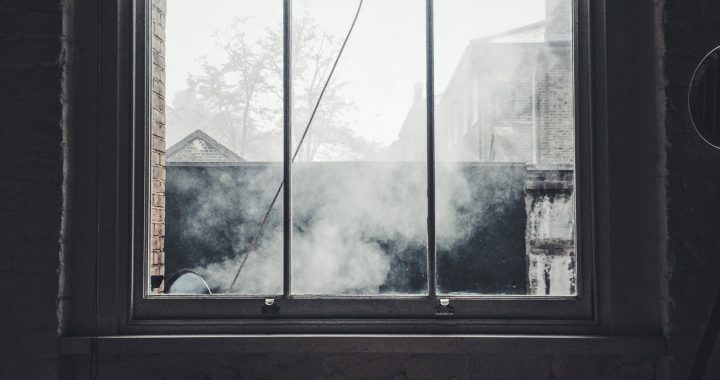 If you see condensation on windows, moist stains on surfaces and ceilings, mold, or musty smells, you apparently have a humidity problem. You can’t ignore these problems otherwise fundamental damage to your home and its contents, allergic reactions, respiratory difficulties, and other health problems may arise. Yes, it can. The extra moisture is one of the main culprits behind allergy symptoms in homes. High moisture can increase common household allergy triggers like dust mites, mold spores, and airborne bacteria, all of which can grow and reproduce quickly in humid conditions. All of these can aggravate allergies, making itchy eyes and skin, respiratory difficulties, and many other uncomfortable signs. Keep humidity level between 30 to 50 percent by using a dehumidifier to make your space less hospitable to these allergy triggers and help you better manage your allergy symptoms. Relative humidity is the most traditional way to measure humidity in your home. Relative humidity is the gram-per-cubic-meter measure of the water mist in the air divided by the gram-per-cubic-meter measure of the maximum value of moisture in the air can exist at the current temperature. The resulting outcome is multiplied by 100 to get a percentage, which is your relative humidity. 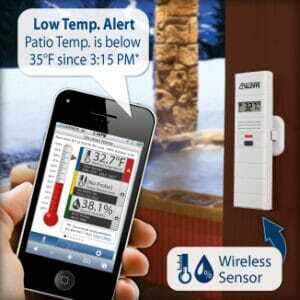 Recommended indoor relative humidity level is between 30 and 50 percent. If a humidity level is higher than 60 percent than mold and mildew spores, bacteria and dust mites grow. However, a relative humidity level below 30 percent can be quite as damaging. Before-Mentioned low-humidity conditions can head to an increase in cold and flu viruses, irritated skin and respiratory passages, broken ceilings, insulated wood floors, and more. You can monitor humidity conditions in and around your home with a hygrometer or humidity monitoring system. I have made a great blog post about monitoring your temperature and humidity including my favorite products. Manufacturers have made the choice harder. There are a lot of dehumidifiers available. If you don’t care about features, noise level, maintenance then proper dehumidifier choice is not that difficult. You have to know the area of the place you need a dehumidifier and a moisture amount. There is no one way to divide dehumidifiers so I made my own. Small Capacity. Dehumidifiers that removes up to 40 pints of moisture per day. They are great suited to handle small, damp spaces. For example, Whynter Elite-D 45-Pint Dehumidifier. Practical room size 700 square feet. I can suggest also Sunpentown sd 31e. Medium Capacity. Removing 41-50 pints of moisture per day. Great for medium- to large-sized spaces. One of the best is Delonghi DD50PE 50 pint dehumidifier. Large Capacity. Removing 51-75 pints of moisture per day. These dehumidifiers can treat a wider area of humidity difficulties – from very wet to damp conditions. A great choice would be Friedrich D70BP dehumidifier. Whole-House Capacity. Removing more than 75 pints of moisture per day. Most of these dehumidifiers can remove extra moisture in areas up larger than 2000 square feet. If you need an extremely good dehumidifier choose Ultra-Aire 98H. It can remove moisture in 2500 square feet large areas. You can’t choose only by size and pints. You also have to know is an area is only a little damp, moderately damp, very damp or extremely wet. A little damp space has a 50 to 60 percent humidity. It feels damp and has an occasional musty smell. Moderately damp space often feels damp and often smells musty. Humidity level is between 60 and 70 percent. The very damp place feels wet, smells musty; damp spots appear on walls and floors. Humidity is between 70 to 85 percent. Extremely wet space feels wet, smells musty; seepage appears on walls and floors; may have mold growth. Humidity is between 85 and 100 percent. More about dehumidifiers, how to choose and what to look for before buying one read my dehumidifier buying guide. Typically dehumidifiers are placed in the moist dampness places in the home such as basements, kitchens, bathrooms, laundry rooms, garages and workshops, spa and indoor pool areas etc. After you have decided the area that requires dehumidifying, narrow down the particular part of that space where the dehumidifier will actually be placed. Typically dehumidifiers should be placed at least six inches apart from walls or other obstacles. If you can’t find a place on the ground for your dehumidifier, consider buying a dehumidifier with various placement options, such as the Santa Fe Compact dehumidifier. It allows you to hang it overhead using the hanging kit. Most of the dehumidifiers are quite loud. They have to be. Especially those with compressors and fans. The large air amount moving through them makes noise. How loud will be this noise depends on the model. Newer dehumidifiers are significantly quieter than older ones. Some of them have a quiet operation. These models have several features to reduce noise such as isolating the fan or a smoother-running fan. If noise is a significant factor in your dehumidifier selection, I could recommend Danby dehumidifiers, as they are typically the quietest. Remember that commercial-grade dehumidifiers are significantly louder. But they are usually used in spaces where noise isn’t the first concern. The expense associated with running your dehumidifier depends on the actual device, the number of time the dehumidifier is operating each day, and your electricity price. An average dehumidifier spends $5 to $30 dollars each month on electricity costs. Watch for energy star-rated dehumidifiers to manage energy costs and consumption and make sure to buy a dehumidifier with a big enough ability to handle your humidity problem. Buying a smaller, lower-priced dehumidifier can occur in larger energy costs if the device has to run continuously to remove excess humidity. Divide the machine wattage by 1000 to get the kilowatts used per hour. In this way, you will find a more accurate power rating. Then, multiply this number by your rate per kilowatt-hour and again by a number of hours the dehumidifier is used each day. Here is an example. You have a dehumidifier that uses 700 watts and runs for about 10 hours each day at $.15 per kilowatt-hour costs $1.05 per day to operate. Some of the manufacturers do not provide wattage. Then you can get this number can by multiplying the dehumidifier’s amperage and voltage numbers. But in my dehumidifier comparison charts, I tried to state wattage for all dehumidifiers. Start with reading my Dehumidifier Buying Guide. Check my dehumidifier comparison charts. Posted in BLOG, Dehumidifiers and tagged Dehumidifier, Questions About Dehumidifiers.